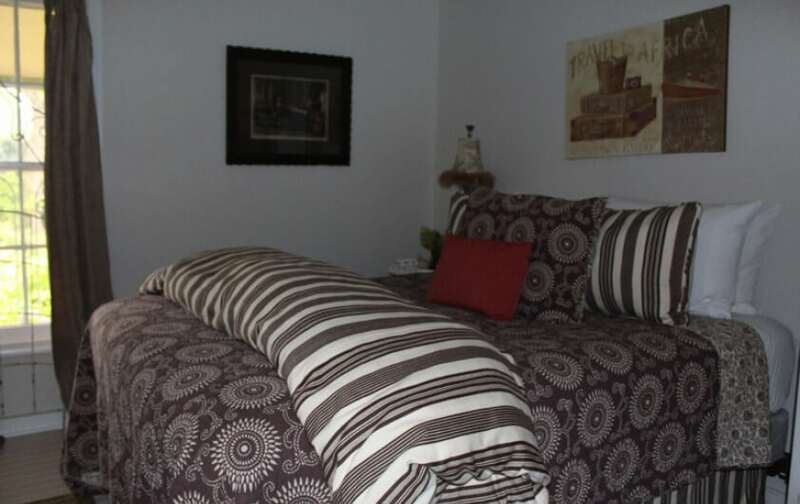 Checking out Kilmarnock, VA hotels? 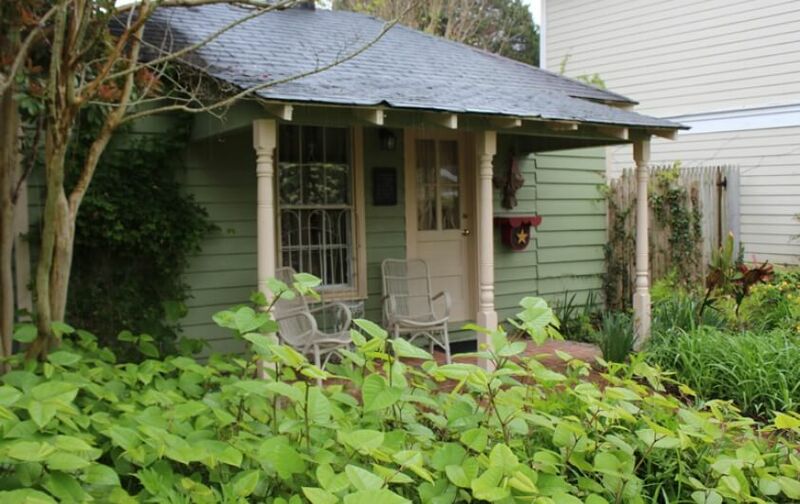 This adorable, green cottage at our bed and breakfast hotel, Hope and Glory Innis a class act. 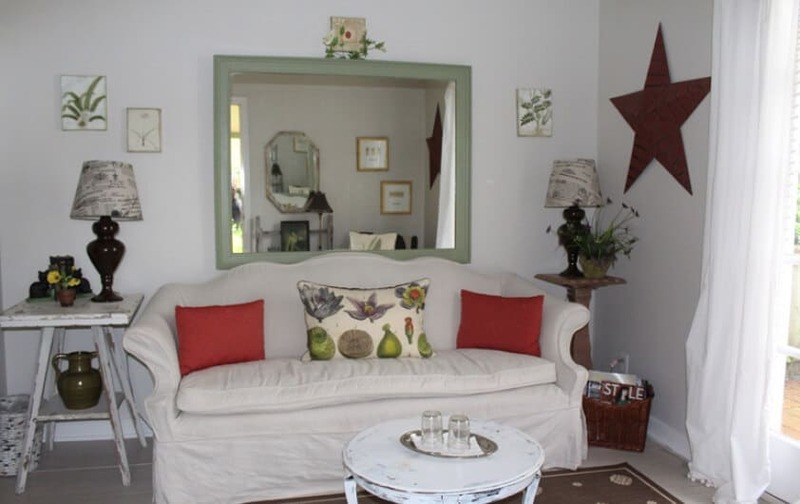 With its charming front porch and lovely character, this particular accommodation has everything you need to feel comfortable and content from the moment you arrive. Spread out with a separate classic living room and posh premium Queen bedroom. Relax in your living room in front of the flat screen TV, lie in the comfortable Queen-sized bed, adorned with brown, white, and rust-colored premium bedding, or stroll outside onto the private and fenced-in garden patio for a glimpse of nature at its finest. Our designers have taken care to cover every aspect of comfort here so you can enjoy every moment of your stay. From the Gilchrist & Soames luxury toiletries to the amazingly soft furniture, you’ll be comfortable at every turn. We’ve also provided a hair dryer, iron/ironing board, fan, and a flashlight should you need them. The room rate includes housekeeping service and our gourmet breakfast.